Doug Hall has always been drawn to both oil painting and the captivating lives of American history’s frontiersmen. As his career in Eastern Woodland Indian paintings developed, his work began to receive national recognition from many prestigious art institutions. Doug’s work has received national recognition from History Meets the Arts, Gettysburg, PA, the Buffalo Bill Art Show, Cody, WY. The C.M. Russell Museum Auction, Great Falls, MT, the Brinton Museum, Big Horn, WY, Altermann Gallery, Santa Fe, NM Gathering of Artists, Carthage, MO. This year, Doug has been preparing another oil painting to be received at the Buffalo Bill 37th Annual Art Show and Sale in Cody, Wyoming. The Buffalo Bill Art Show & Sale is a “one of kind art sale with a Western theme, offering works relating to the land, people, and wildlife of the American West. Artists offer a broad range of stylistic interpretations of the West, in oil painting, watercolor, pastel, sculpture, ceramic and mixed media. All works are original art. The ever-increasing success of this project is made possible by the dedicated staff at the Cody Country Chamber of Commerce and the Buffalo Bill Center of the West, as well as a hard-working volunteer committee. The art exhibition, housed in the Buffalo Bill Center of the West’s John Bunker Sands Photography Gallery, is free for public viewing each September. Main events include the Friday evening Auction, where guests view the exhibition a final time, then stroll next door to the beautiful party tent adjacent to the museum for food, drinks, live music and a spirited live auction; and the Saturday morning Quick Draw, where guests enjoy breakfast then observe nearly thirty painters and sculptors at work in the Robbie Powwow Garden, often using live models, to complete a piece in one hour”. The 37th Annual Buffalo Bill Art Show and Sale will take place on Friday, September 21, 2018. Take a look at the official schedule below. 4:00 PM – 5:30 PM is the “Final look” reception for registered guests at the 37th annual live auction on September 21st. View the exhibition a final time and visit with the artists in the John Bunker Sands Photography gallery, in the Buffalo Bill Center of the West, then stroll to the Party Time Plus tent adjacent to the Center for the fine dining, beverages, and music before the live auction. 6:00 PM is the 37th Annual Buffalo Bill Art Show & Sale Live Auction. 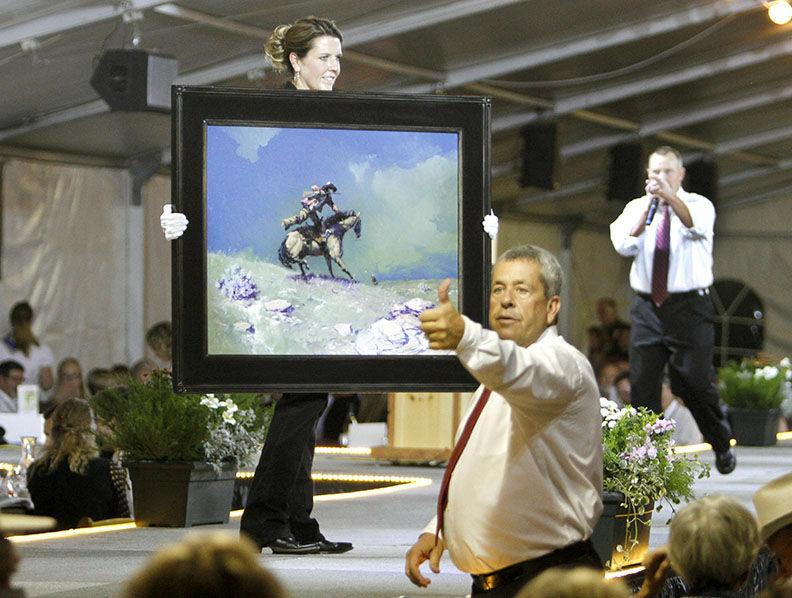 Join in the fun with a spirited bidding for fine western art orchestrated by the rapid-fire delivery of talented auctioneer Troy Black and his associates. This is a ticketed event and registration is required. 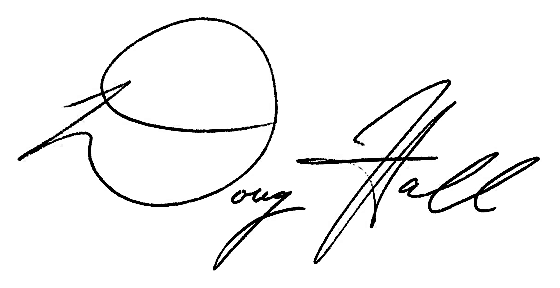 If you are unable to attend the auction in person and wish to place bids, you may submit absentee bids with the option to bid by phone to be executed by Buffalo Bill Art Show representatives. All bids are subject to the Terms and Conditions of Sale as stated on this website. Complete one absentee bid form for each item you would like bids placed. Event representatives will try to purchase your item for the lowest price possible, not to exceed the top limit indicated. We will make every effort possible to reach you at the telephone number(s) provided, however, there is no guarantee this can be accomplished. You will be notified of the outcome following the sale. If you are looking for a one of a kind oil painting from Missouri artist Doug Hall, calling in an absentee bid at the 37th Buffalo Bill Art Show and Sale in Cody, Wyoming. This entry was posted in Nationally Recognized Artist. Bookmark the permalink.